Stories about Hollywood posted on the online site The Wrap will now appear in newspapers following a distribution deal with 17 Hearst newspapers. The deal was announced Monday, and the papers involved include the San Francisco Chronicle, the Houston Chronicle, the San Antonio Express-News and the Seattle Post-Intelligencer. The Wrap's stories will also appear on those newspapers' web sites. The costs and other details of the arrangement were not released. The Wrap was launched in 2009 by former New York Times reporter Sharon Waxman. Other Hearst papers included in the distribution deal include the Albany Times-Union and 10 papers in Connecticut. The Wrap's stories will not appear in the rest of the 41 newspapers owned by Hearst. 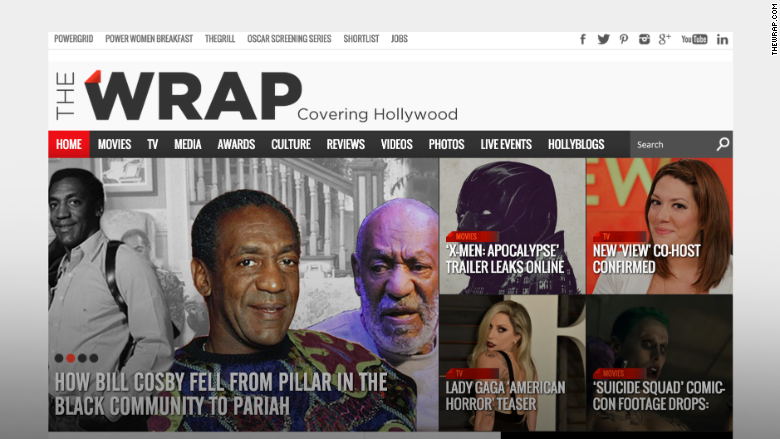 The Wrap competes against other outlets covering entertainment news, including Variety, Deadline and The Hollywood Reporter.